It’s the lifeguard’s job to keep patrons safe and enforce policy. Many times, the lifeguards also need to collect money from guests who visit the pool. If you’ve noticed that your pool has been busy but you aren’t seeing much of that revenue, you might want to look into why that is. You may find that a few changes in policy/procedure might help you see more of that money. Close the following 5 loopholes to increase guest pass revenue. Loophole #1: Patrons are allowed to enter without signing in or are allowed to flash a generic keychain/wristband pass. Reality: If patrons aren’t required to walk to the lifeguard, stop, and check in, the lifeguard(s) may lose control of who is coming in and out of the facility. Additionally, the more generic the pass, the less control the guards have. Membership passes without photos, names, and addresses will be shared with guest resulting in lost guest pass revenue. - Lifeguards are forced to read the pool pass and verify they are valid passes. - Patrons are forced to stop at the lifeguard station prior to entering the facility. If the lifeguard is temporarily preforming another task, the patron will not slip in unnoticed. Loophole #2: Each household is allowed 2 free guests. Each additional guest must purchase a guest pass. How this loophole is exploited: 1 patron brings 4 guests. The patron says, “The 3rd and 4th guest are my friend’s guest. My friend is already here.” The friend (Patron #2) walks over and checks in the guests for free. The reality: How can the lifeguard say no? Both patrons were clearly obeying the policy but clearly the community just lost 2 guest fees. Close the loophole: Issue each household 2 reusable guest passes. Collect all passes upon entry, and return passes upon exit. Now the guest passes can’t be used at the same time. If patron #2 tries to collect his guest passes with his guest still at the pool, the lifeguard will easily identify this. How this loophole is exploited: A patron invites a friend’s family to the pool. They purchase guest passes for the adults, not the children. The reality: Lifeguards don’t ask for proof of age. They simply believe whatever the parent says. Loophole #4: Each household is issued 1 pass that allows every member of the household access. How this loophole is exploited: This policy is most commonly seen when each household receives 1 proxy card. The proxy card allows access to the community’s fitness center, clubhouse, and pool. Patrons swipe the card at the gate to gain access. The reality: Proxy cards that simply open a gate don’t allow lifeguards to enforce a pass policy. In effect, anyone who has a proxy card can come in, regardless whether or not they actually belong. Cards can be passed around to friends, extended family, and guest. There is no way to tell how many people are authorized to gain access on any given swipe. With out an additional policy, proxy card pools rely on the honesty of their patrons. How to close the loophole: Proxy cards need a computer at the gate to properly access data. Only after the lifeguard looks up the membership information, names, and ages can they properly charge guest fees. Without a computer, lifeguards have little or no control over who comes into the pool. An alternative option is to simply not include the proxy card in your pass policy. 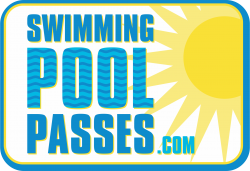 Loophole #5: All patrons must have a pool pass. The only exception is fill in the blank. The reality: Inconsistency undermines even the best of policies. If an exception to your pass policy is made for Patron A, Patron B will expect the same thing. Lifeguards are generally nice people who want to make people happy and will likely make the same exception for Patron B, whether or not it was appropriate. How to close the loophole: Do not leave it to the lifeguard to approve an exception to the rule. Keep the control within management. If there truly is an exception, issue a temporary pass so the lifeguards can continue to follow policy. Lifeguards, property managers, and pool managers all have the same goal: keep patrons safe. However, the reality is that a little extra revenue can go a long way. By closing the holes in policy/procedure, you can collect more in guest pass fees while gaining better control over who enters and uses your facility.